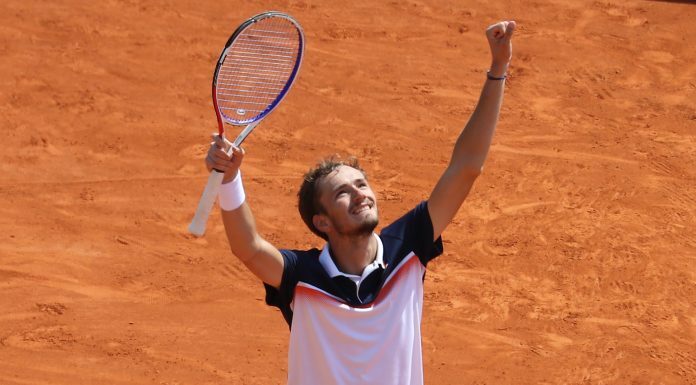 It’s time for clay-court action to take over the tennis scene and Nikecourt’s impressive roaster of athletes are ready for the rigors of the toughest surface in the sport. 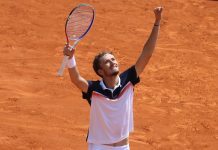 Playing on the courts of Monaco, Stuttgart, Barcelona, Madrid and Roma, this year’s Nike looks on the clay will be featured in shades of Canyon Gold, Signal Blue, Light Blue Fury, Oxygen Purple and Light Carbon. Beginning his quest for a another memorable swing on the clay, Rafa Nadal returns to his favorite surface donning the Rafa Aeroreact Jacquard Top in Light Blue Fury with Obsidian, which will be paired with the Rafa Flex Ace 7″ Short in White with Obsidian. The Spaniard will also wear the Summer Rafa Jacket in Light Blue Fury with Obsidian and the Nike Air Zoom Cage 3 in White, Blue and Fury. 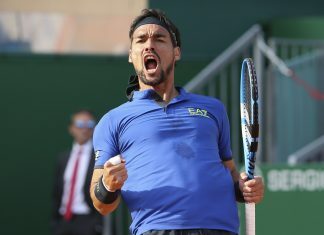 Bulgarian Grigor Dimitrov will also be highlighted in his own look, this time sporting the Checkered Challenger Crew in Oxygen Purple, which will be paired with the Summer Flex Ace 9″ Short in Light Carbon. Dimitrov’s footwear will be a custom pair of Vapor 9’s. 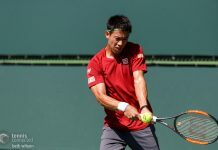 The NikeCourt team style—which will be worn by Juan Marin del Potro, Nick Kyrgios, Denis Shapovalov, Karen Khachanov and Felix Auger-Aliassime—will be highlighted in the Summer Advantage Polo in Canyon Gold and the Summer Flex Ace 9″ Short in Light Carbon and Canyon Gold. 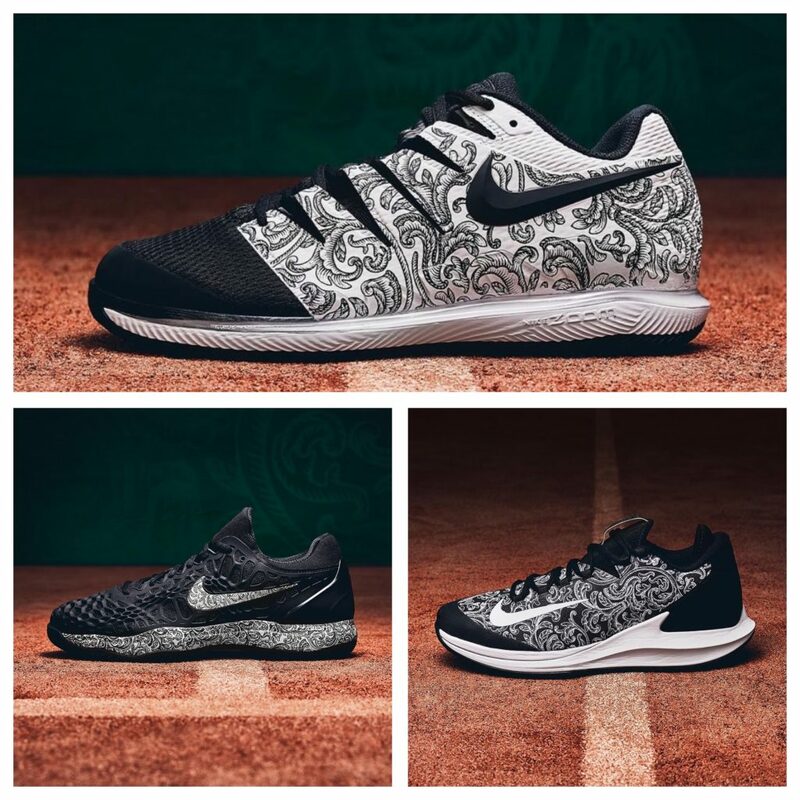 The NikeCourt Team players will also sport a variety of the footwear from the Baroque Pack. These models will include the Air Zoom Zero, Air Zoom Vapor X and the Air Zoom Cage 3. 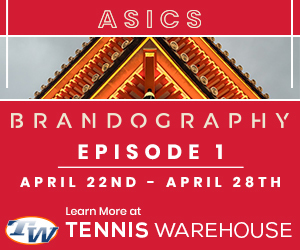 The ladies of NikeCourt will look equally as impressive this Spring on the crush red brick of Europe. 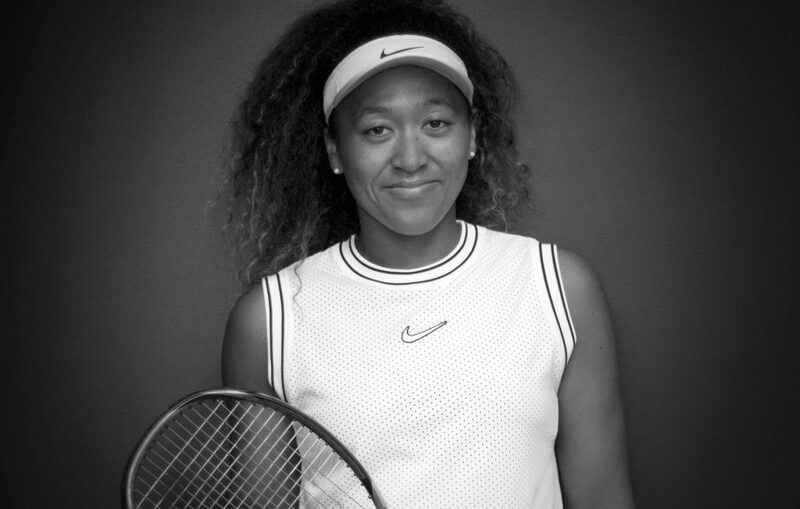 Newly signed Nike athlete Naomi Osaka is set to debut her first look with the Swoosh and will be seen in the Elevated Essential Tank in white with black, which will be paired with the Summer Flouncy Skirt in Black and White. The world No. 1 will also wear the Air Zoom Zero in the Baroque Pack colorway. American Sloane Stephens will be featured in the Summer Court Dress in Oxygen Purple and White, while the rest of the NikeCout Team—which consists of Simona Halep, Elina Svitolina, Petra Kvitova, Aryna Sabalenka, Madison Keys, Bianca Andresscu, and Amanda Anisimova—will be featured in the Summer Court Tank in Orange Pulse, White, Orange and Pulse, which will compliment the Summer Flouncy Skirt in Light Carbon, White, Light and Carbon. The Team players will also sport a variety of the footwear from the Baroque Pack. These models will include the Air Zoom Zero, Air Zoom Vapor X and the Air Zoom Cage 3. 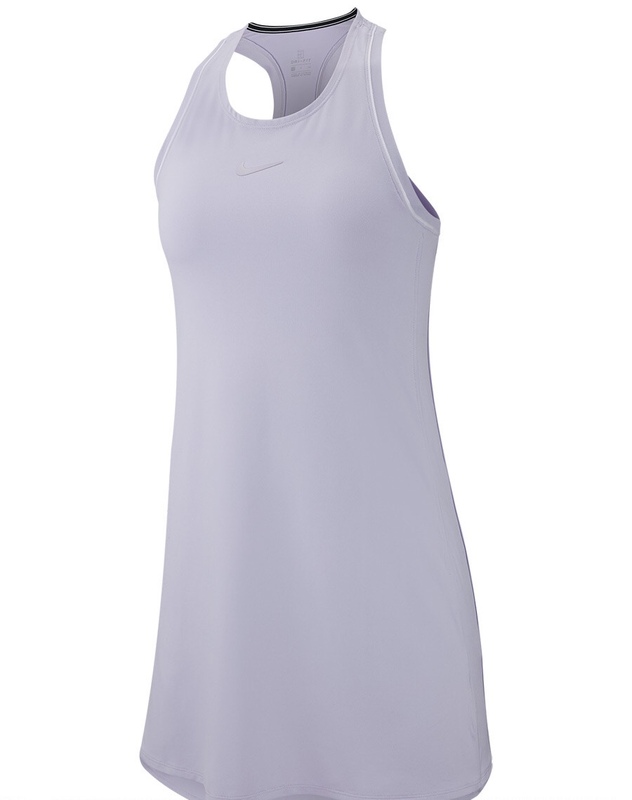 Hall of Famers Serena Williams and Maria Sharapova are set to wear the Elevated Essential Tank and Flouncy Skirt (for Serena) and the Summer Maria Dry Tank and Maria Flex Victory Skirt (for Sharapova). Both superstars will have custom-made footwear on the clay. 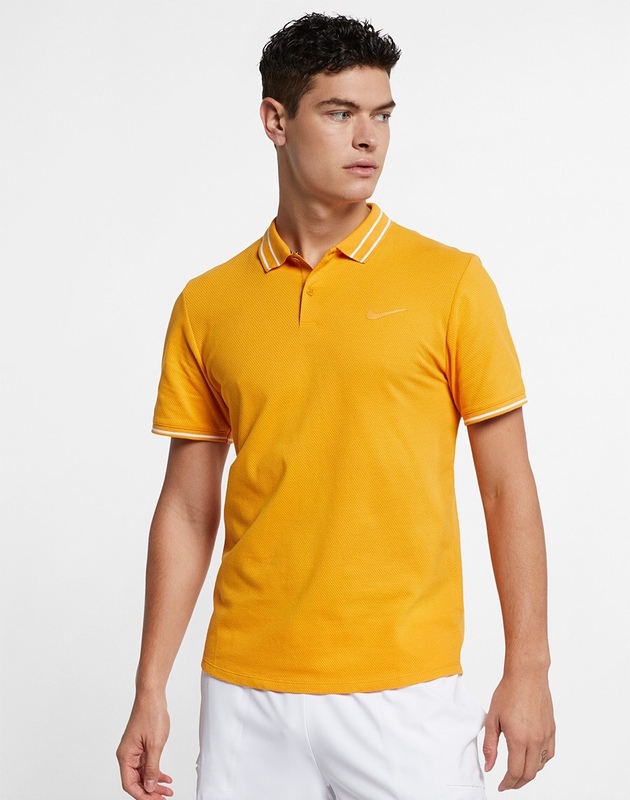 The latest Summer 2019 collection for NikeCourt can be purchased at the following TennisWarehouse.com link or in Europe at TennisWarehouse-Europe.com.